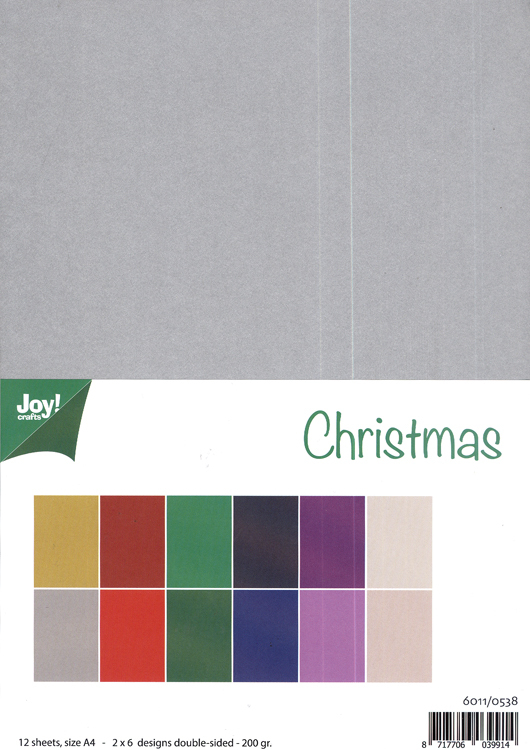 This A4 set of paper includes 12 sheets 3 x 4 designs double - sided. This selection of papers has no pattern. 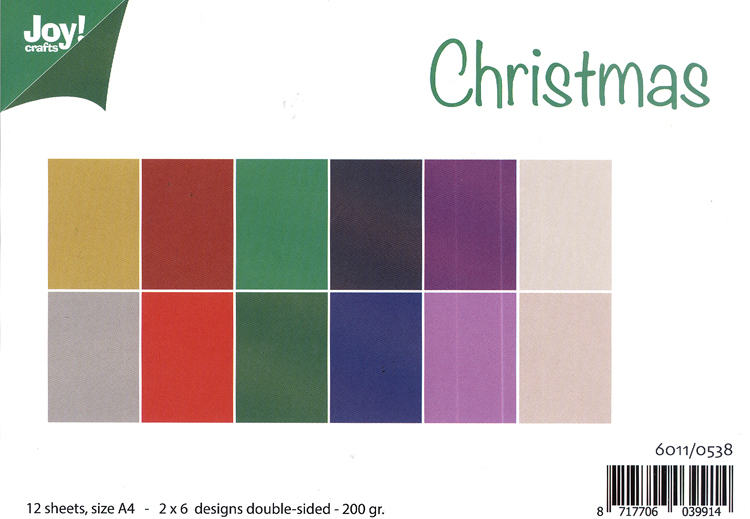 The colours included offer a great variety of colours that are perfect for Christmas, but you can use them any time for any type of project. Size: A4 8.27 x 11.69 inches.